The dollar edged lower and Treasury yields cooled, while an equity rally that spread into Asia from the US after a dovish tone from the Federal Reserve chairman lost some steam as investors turned their focus to a crucial meeting of the world’s largest economies that will tackle trade issues. Stocks from Sydney to Tokyo pared gains that were already more muted than the stellar rally in the S&P 500 Index, which surged the most since March. Hong Kong and Chinese stocks erased advances as US futures slid. Emerging-market equities rose to the highest level since early October and developing-nation currencies strengthened. The 10-year Treasury yield drifted toward 3% after Fed Chairman Jerome Powell fueled speculation the central bank may pause lifting interest rates next year. Powell’s comment that interest rates are “just below” a range of estimates of the so-called neutral level tempered remarks made last month that markets read as a signal of more aggressive monetary policy tightening. Investors are now betting the Fed is nearing a pause and eurodollar futures show the market pricing for just 25 basis points, the equivalent of one Fed increase, next year. With Powell now out of the way, the market is looking for any hopeful signals on trade from a meeting between the US and Chinese presidents that will take place at the Group of 20 summit in Buenos Aires this weekend. US President Donald Trump has threatened tariffs on $200bn of Chinese goods unless they can strike a deal on revised terms of trade. Global economic growth may be slowing more than expected, the IMF warned. 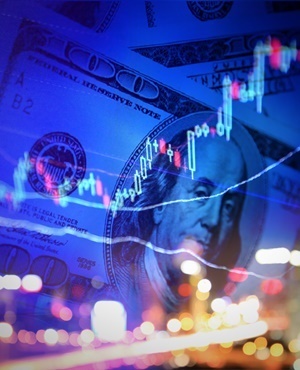 Recent data suggest the situation has only worsened since the fund trimmed its world GDP forecast last month, according to a report prepared for the G-20 meetings. Elsewhere, Indonesia’s rupiah climbed as the nation’s central bank said it will provide room for the currency to keep strengthening in line with market mechanisms. Oil recovered some of its losses after an unexpectedly large increase in US crude inventories spurred declines Wednesday. Trump and Chinese President Xi Jinping plan to meet at the G-20 meeting of world leaders in Argentina that kicks off on Friday. Thursday sees the release of the minutes from the Federal Open Market Committee’s November meeting. Japan’s Topix index climbed 0.4% at the 15:00 close in Tokyo. South Korea’s Kospi index rose 0.1%. Hong Kong’s Hang Seng Index fell 0.7%. The Shanghai Composite Index lost 0.7%. Australia’s S&P/ASX 200 Index advanced 0.6%. Futures on the S&P 500 fell 0.2%, which gained 2.3% on Wednesday and the Nasdaq 100 rose 3.2%. FTSE 100 Index futures were up 0.5%. The MSCI Asia Pacific Index rose 0.8%. The yen added 0.4% to 113.22/$. The offshore yuan was steady at 6.9326/$. The Bloomberg Dollar Spot Index declined 0.2%. The euro bought $1.1390, up 0.2%. The British pound rose 0.2% to $1.2844. The yield on 10-year Treasuries dipped five basis points to 3.01%. Australia’s 10-year bond yield slid two basis points to 2.60%. West Texas Intermediate crude gained 0.5% to $50.54 a barrel. Gold rose 0.4% to $1,225.96 an ounce.